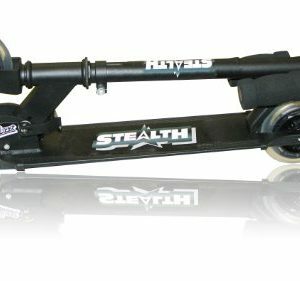 The scooter uses the “tilt”steering system allowing steering using the body weight for tilting. 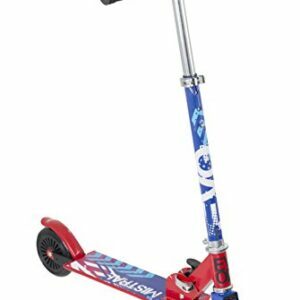 This strong and tough scooter is so robust it comes with a 3 year breakage warranty. 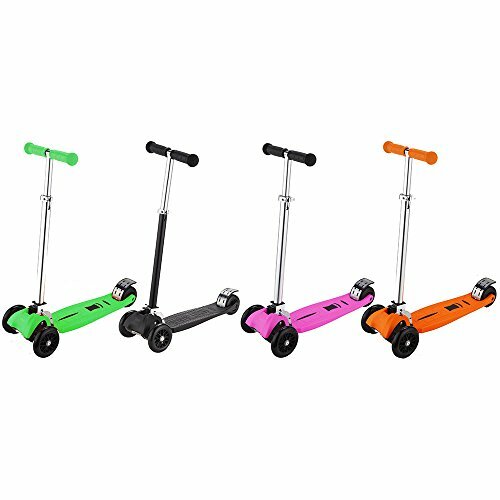 Weight: 3.3kg, Adjustable Height Levels:690mm to 940mm, Wheels Diameter:120mm, Wheel Width:24mm, Wheel material:PU, Bearings:Abec 5 Carbon, The height adjustable handle means that both youg and older children can use it and you won’t have to buy a new scooter as your child gets older. 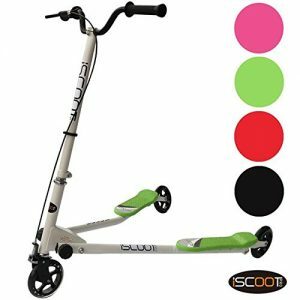 Great when one child is still in the buggy and the other is not quite ready to walk “all the way” take the iScoot Pro out and they will enjoy the trip with you! Light and easy to carry it’s not a problem if they don’t want to ride for a bit you can just hook it onto the buggy! Although in most cases we cannot get the little ones off them!